Meditation has long been lauded as a way to achieve greater insight into one’s self, empathy into one’s neighbors, and inner peace about those aspects of life that can’t be controlled. If it’s something you regularly engage in, you also know it’s a vital part of how you achieve a balanced and meaningful life. Whether you practice Transcendental Meditation or just your own version of mindfulness training, going on vacation affords you the lucky opportunity to settle down into a new spot and learn to quiet your mind anew. If you’re planning a stay in the Niagara region this fall, here are four spots that are perfect for meditation — especially as the weather cools. The main park in Niagara Falls, Queen Victoria Park has plenty of places where you can spread out a blanket or yoga mat, close your eyes and turn your attention inward. Especially in the morning, the park has few visitors, save for the birds and insects that will still be bustling about before winter hits. 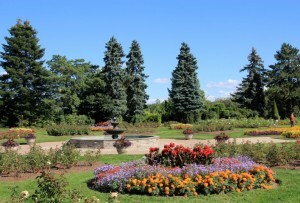 Choose the rock garden or hybrid tea rose garden, or simply settle down onto one of the beautifully maintained lawns. Even if all you do is sit quietly on one of the many park benches, Queen Victoria Park is a perfect place to experience tranquility. 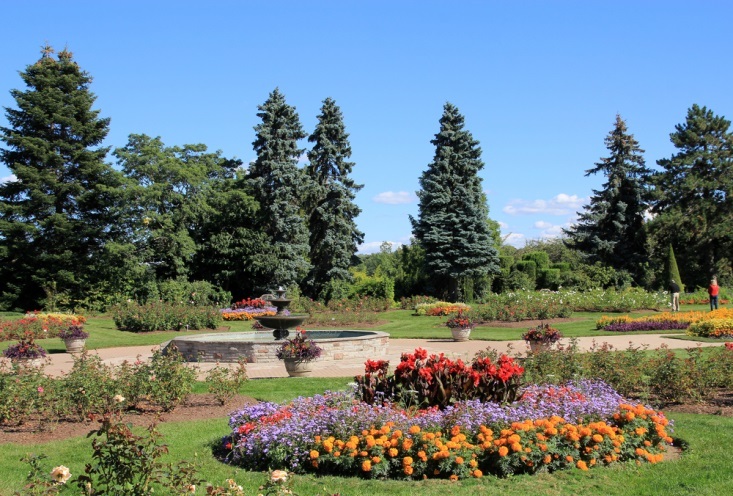 A 40-hectare spot, the Niagara Parks’ Botanical Gardens is just a 10-minute drive along the Niagara Parkway to the north of Niagara Falls. The outdoor classroom for students of the Niagara Parks School of Horticulture, it’s a beautiful and sensory space that’s big enough to allow you true privacy. Whether you want to be surrounded by herbs, vegetables, roses, or a host of perennials, the Botanical Gardens will afford you a wealth of choice when it comes to finding the best spot to meditate. Because of its size, any time of day will work since the crowds — especially in autumn — won’t be big enough to cramp your style in such a large place. At just 10 acres, this small, secluded park also includes several little islands that are all connected by small bridges and quaint footpaths. Ideal for a walking meditation, Dufferin Islands is just big enough to give your mind free rein but not so large as to create anxiety that you’ll lose your way. One of the locations of the Winter Festival of Lights, unless you want your walking meditation attended by others, you should avoid meditating there in the evening once November 21 — the opening day of the festival — rolls around. 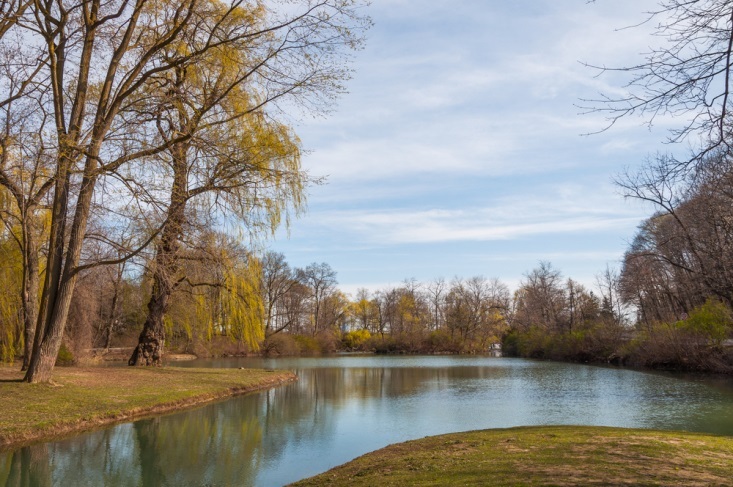 Located in Niagara-on-the-Lake, just a couple blocks from its main shopping and business district, this beautiful park allows for quiet sitting and meditating along the banks of the Niagara River. Quaint and picturesque, you can actually see both Fort Niagara and Lake Ontario from the water’s edge. Especially if you’d like to spend the day shopping in NOTL or visiting one of its stellar wineries, starting your day in meditation at Queen’s Royal Park is ideal. Niagara affords visitors so many opportunities to appreciate the natural world. If you enjoy meditation, combine the two at one of these four fabulous area green spaces.